Not many people can authentically claim that they were among the first in the world building websites, but Wael can. It started as a hobby while he was a high school student. Since then, his lifelong passion has been pushing the web to its full business potential. CEO’s love Wael’s business/technology perspective and the fact that he has a degree in Business. If you want the straight story on how to bring your brand to the web in a way that produces maximum and continuous ROI, talk to Wael. He means business. Wael Wafik started his career in digital media back in the days of 56K modems. In early 2001, Wael, who was just turning 15 years old, found his passion in web technology. He started his first design studio by creating a small website called Wael Design, where he could demonstrate his work and attract potential clients. One of Wael’s first projects was creating a website for the American Search and Rescue organization (SAR) in the New England states, in the USA. The website (sarstatistics.org) was built to help find and rescue people and record those statistics that are generated through the website. The website was a great success and Wael received an award for this achievement from Richard Toman, the Search and Rescue Administrator, at the Massachusetts State Police. Wael studied business administration and accounting in Egypt and has his bachelor’s degree in Business Administration and Accounting which later helped him tremendously with his endeavors in entrepreneurship and business development. 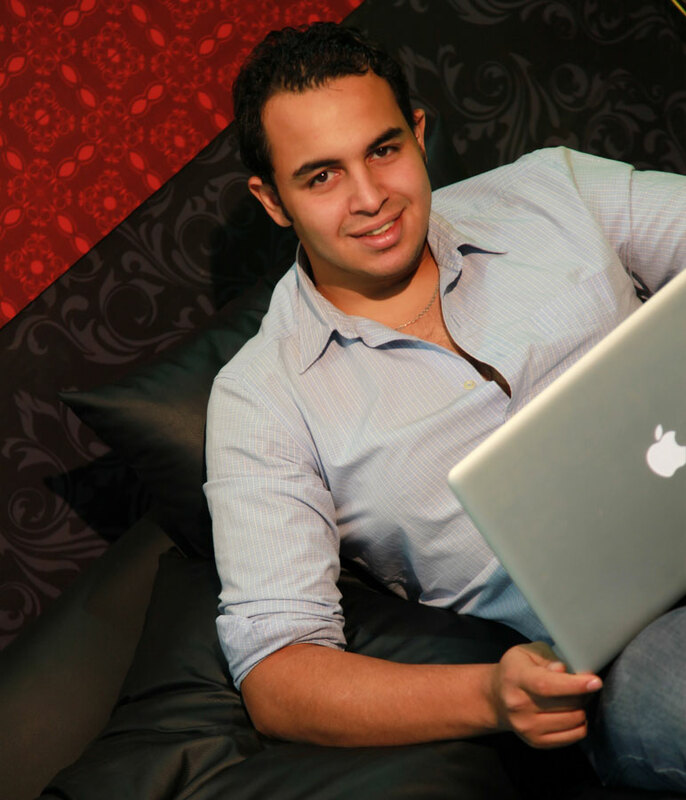 Wael continued his own studies in web development through his years at the University. He graduated in 2005 with at least 4 years of hands on practical experience in web development along with his BCC in business. The Journey With Denver PPC. After graduating in 2005, Wael joined Ripple Application as a senior web designer/developer. Ripple Application was an American company based on Denver, Colorado and had its operating office located in Cairo, Egypt. The company was founded By Chris Lude and his wife, Hanna Loberg. Ripple Application was a company that focused on serving the small and medium enterprises in Colorado by providing web applications that helped the small and medium enterprises operate better at a time when the internet was beginning to boom. Later, Ripple Application changed its name and became Denver PPC & Winning SEO Designs LLC. They expanded the company into more of a Pay Per Click advertising, web design and social media marketing company. Denver PPC became a Google Certified AdWords company. They were one of the first companies to become Google certified that was actually located in the Middle East & North Africa zone (MENA). By showing his extraordinary talents in web technologies as well as in the everyday running of the business, Wael was promoted to partner and General Manager of Denver PPC & Winning SEO Designs LLC at the office in Cairo. Wael worked closely with Google’s MENA Team and Ireland’s PayPerClick Team to introduce prevailing internet marketing concepts to the Egyptian market; while still serving the American clientele in Colorado. In 2010, Wael decided to start his own company, by officially founding WinningSEM, a full service design and marketing agency based on Cairo, Egypt. Wael continued to serve many Denver PPC clients, acting as an outsourced agency, while he was expanding WinningSEM into the Egyptian and International markets. With the quality and professional work that Wael and his team provided to the clients of WinningSEM, they became one of the leading companies in the web marketing industry in Egypt. WinningSEM counted as clients, many of most well known international brands such as Google, Samsung, Gree, DHL and General Motors MENA. WinningSEM was also used as the digital outsource agency by the most of the major traditional marketing agencies to help develop web solutions for their clients. WinningSEM and the American Mortgage and Real Estate Industries. In late 2010, one of Wael’s former Denver PPC partner’s, Terry Tomassetti, left Denver PPC and moved back to Salt Lake City, Utah. There, she started a career in web marketing for the Mortgage Industry. Terry’s employer at that time, CityWide Home Loans, expressed to her the need for an agency that could provide online applications, online marketing solutions and Loan Officer websites. They also were interested in Pay Per Click management, mortgage calculators, automated online real estate listing services..etc. Terry immediately contacted Wael and they started working together on building the future of the mortgage industry in Utah on the web. Terry was later offered a job at SecurityNational Mortgage. SNMC, through Dan Munford and Justin Basso, wanted Terry and WinningSEM to do the continue the kind of work they had been doing at Citywide Home Loans and develop their projects and services. Wael and the Utah Builders HUB. In 2011, Wael and his team were asked by Justin Basso at SNMC to build a small website for listing new home builders in Utah. The idea was that by marketing the new home builders, those builders would then refer potential leads who needed construction loans and mortgages to the loan officers at SecurityNational Mortgage, behind the HUB. It was very small project at the beginning, but with our user friendly design, innovative marketing ideas and The HUB’s founders vision; this small site has expanded to become number 1 in search for home builders, communities, ready homes & lately for vendors and contractors throughout Utah. Wael traveled to Utah in 2013 to consult closely regarding the ideas he envisioned with the founders of the HUB, in order to take this project to the next level. Now, the HUB is expanding to all other states, having more than 7000 unique visitors a month in Utah only. In 2015, we created individual HUB’s in Nevada with the intention to have 3 New HUBs, in Texas, Arizona & California by the end of 2015. Wael and Utah Small Businesses. After spending considerable time in Salt Lake City due his business trips to Utah, Wael sensed the need for a strong website that connects local small and medium enterprises together. After visiting a local business convention at the Sandy Convention center, Wael saw the frustration of some small exhibitors who have great local products but only a small advertising budget. Wael saw the absolute need for a local business to business directory that works in a new creative way by helping local businesses find each other at a very low cost. Wael started marketing this business and meeting with local Utah small businesses & cities chambers of commerce. Immediately, there were several pre-sign ups for the product and a buzz of interest in the small business community. This B2B directory is scheduled to lunch by last quarter of 2015. Wael’s understanding of the core needs for creating a successful business, his expertise in internet marketing along with his tech knowledge, make him a leading visionary in creating one of a kind web applications that boost local, country based and world wide businesses. Wael’s Specialties & Technical Skills.